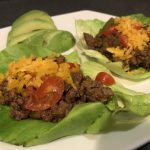 For a quick taco meal, try using a lettuce wrap instead of a taco shell. 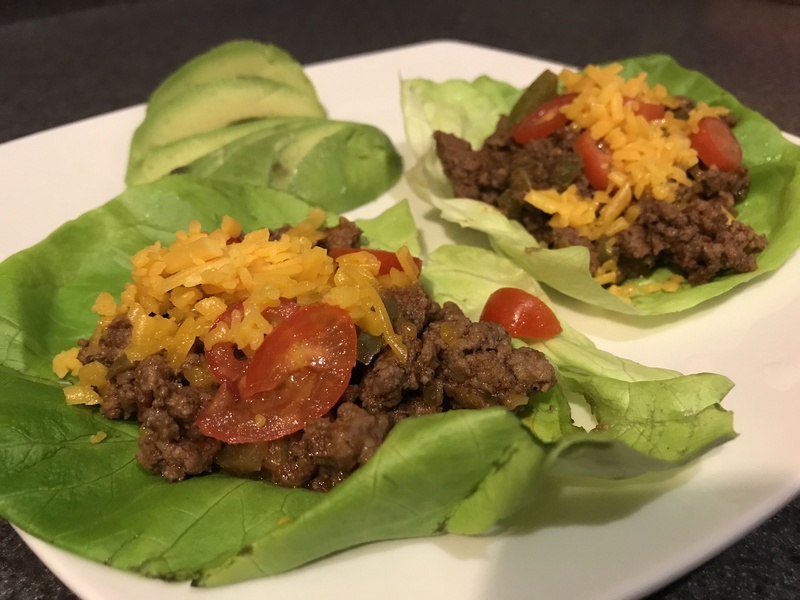 You can use this recipe for the taco sauce or other taco sauce with the ground beef. In a skillet, brown ground beef. Add green pepper and green onion when partially browned. Stir until meat is fully browned. Add rest of ingredients (except lettuce and toppings) and simmer for 5 minutes. Serve over lettuce with toppings (tomatoes and cheese).